NetherRealm reveals another addition to their growing cast of playable characters for Mortal Kombat X in the form of Ermac. Here’s the trailer which was released on IGN’s YouTube channel. Making his debut in Ultimate Mortal Kombat 3, Ermac has been a controversial and mysterious character in the Mortal Kombat series whose existence was rumored since its inception. 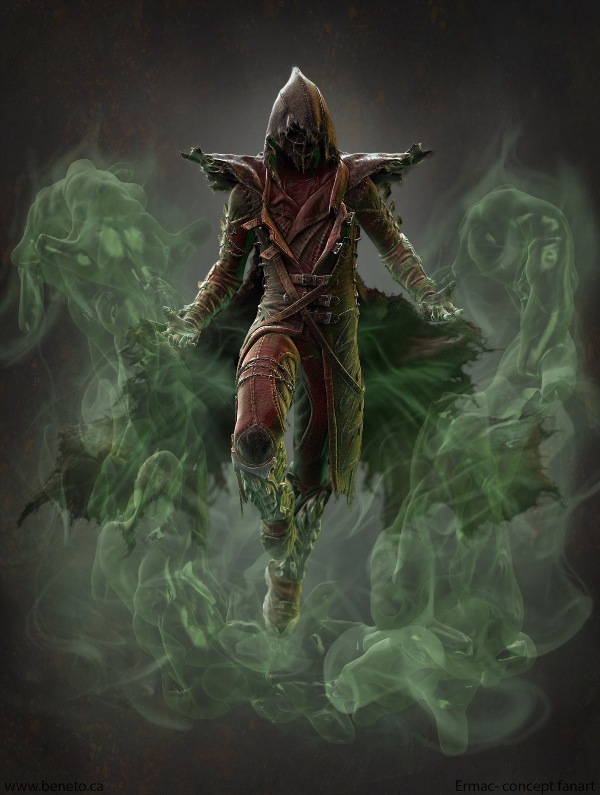 Ermac is a fusion of many souls destroyed in Outworld’s wars who came to be controlled by Emperor Shao Kahn and his Shadow Priests. Because of this, he refers to himself as “we,” “us,” and “our” instead of “I,” “me,” and “my”. Due to the sheer concentration of souls within Ermac, he possesses the gift of telekinesis, and can travel to different realms. However, the depths of Netherrealm drain his powers and souls. He is weakened dramatically while there, but a mysterious stone dubbed the Soul Stone Shujinko found for him would protect his souls. Disappearing after the events of Mortal Kombat Trilogy, he only returned in Mortal Kombat: Deception, where he was freed from Shao Kahn’s grip by the blind swordsman Kenshi, whom he repaid by teaching him the Telekinetic Slam. He decided to become a force of good partly in guilt of his past evils. To prove this, he decides to help Liu Kang free the souls of his friends from control of Onaga. Stay tuned as we’ll be backtracking on other revealed characters for Mortal Kombat X and report new ones when they pop out.